Of course, once your team is experienced and positioned as an authority on their subject, you can move on to other specialized methods, (like “6 steps of communication“), but the “6 C’s” below is the quickest and easiest way to create quick duplication. Seems obvious, of course, but this is the most important part of your business building, so you must MASTER this initial inviting tactic. Now, I don’t mean email, text, copy and paste spam or any other ‘easy’ way out! I mean being thoughtful and having SKILLS. How would YOU want to be approached? How’s your relationship? Don’t be weird! How do you usually converse with this person? Start it that same way initially. The most important part is that you actually DO the contacting, instead of sitting there thinking about contacting! That is painful. Get into contacting QUICKLY and efficiently. It’s so important to not get all up in the way of people lives. They’re busy and you need to be busy too, doing something even MORE important that will turn their head! You’re in a hurry! DO NOT fall in the trap of their questions! Start with, “Hey do you have a few minutes?”. It’s always important to be so in hurry that you do NOT have enough time to go into answering all their questions of “what’s it all about?” right now. If it’s an actual phone call, you’re trying to make this firstcall under 3 minutes. Also, since you asked if they had a few minutes, make sure you’re OFF THE PHONE in a few minutes like you said you’d be, or else you mess up the agenda, the energy is off, and you start to lose posture. You need to be moving fast, with the energy of “you’re moving quickly, with or without them”, right from the very start. This part is above in the previous paragraph… Notice that I did not say exactly what it is – I didn’t KILL their curiosity, by unloading all my information, puking my ‘stuff’ all over them! This is why movies have their “trailers”. They tease you just enough to want to SHOW UP to get the rest of it! I always WARN… “Don’t give the presentation at the invitation! Think about what’s important to THEM, and ask into THAT important stuff. The more you follow that energy, the more curiosity you will cause inside of them. One big thing about the human mind is that it can’t stand not “closing the loop”. You can move people to actually SHOW UP for themselves with this. Got it? Commit them to an appointment. Now, I don’t mean pressuring or being pushy. There’s a trick here. One of the reason why people don’t like being “sold” to, is because they don’t ever want to be in a position where they’re not “in control”. Then, one of the most important steps of inviting…. STOP TALKING. This is the hardest part, and sometimes takes YEARS for people to get this one down. The less you talk the better. The more you talk, the more questions you bring up. Again, BE BUSY. You only “have a few minutes”. Let the videos and your up-line and the events do ALL of the talking FOR YOU, later. The rest of your personal talking should in another conversation later, and only to build the relationship and to answer questions as short as possible! So those are the “6 Cs”. Learn, Do, Teach, and share with your team if you want them to go out and prospect quickly! 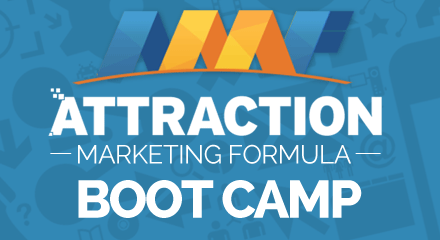 Now, when you want to take it to the next level with your Social Media Recruiting, grab this insanely valuable training HERE, because that’s where Network Marketing is really headed, and you want to stay in front of the wave!